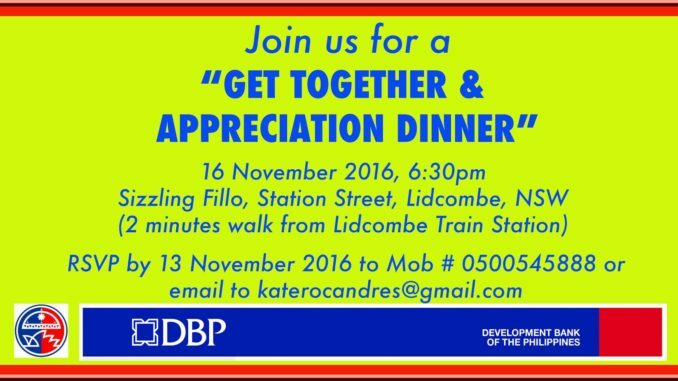 The Philippine Community Council of New South Wales Inc (PCC NSW Inc) is organising the "Get Together and Appreciation Dinner" on 16 November 2016 at Lidcombe, NSW, Australia. 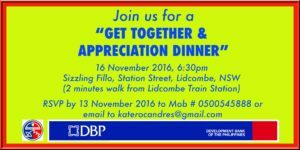 The Philippine Community Council of New South Wales Inc (PCC NSW Inc) is organising the “Get Together and Appreciation Dinner” on 16 November 2016 at Lidcombe, NSW, Australia. 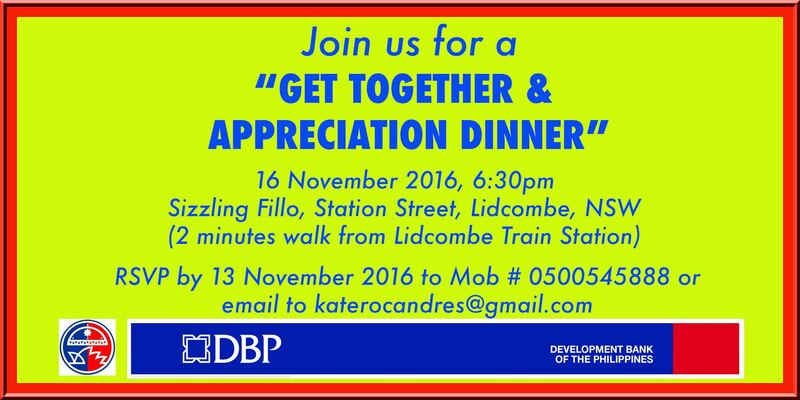 This gathering is supported by Development Bank of the Philippines (DBP).